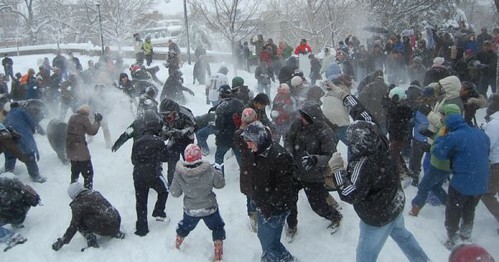 Thanks to all the readers who sent in photos of this under-reported battle. 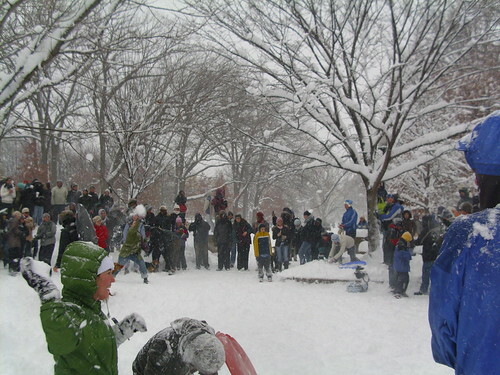 I saw lots of news about the Dupont fight (a comparison photo after the jump) but heard very little of the Meridian Hill one. 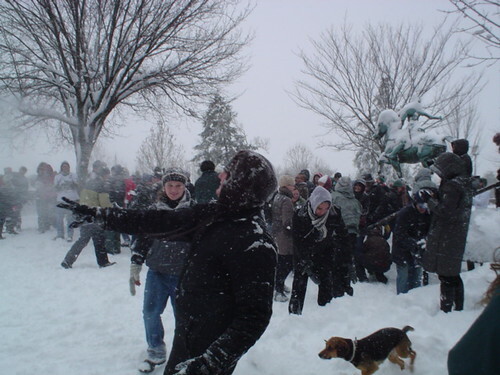 I stopped by Meridian Hill and in addition to this great battle there was also snow football, sledding and a general good time. 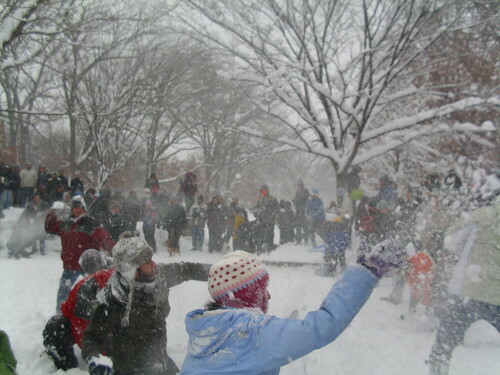 More pics including one from Dupont after the jump. 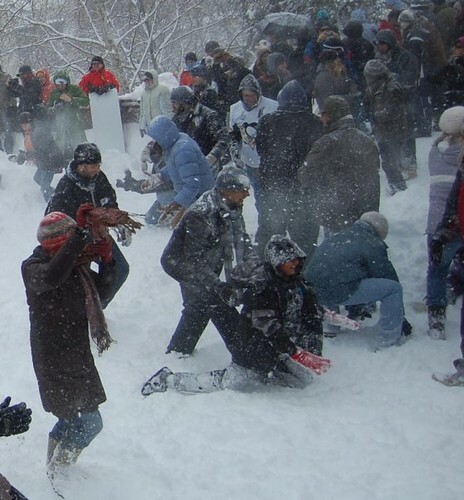 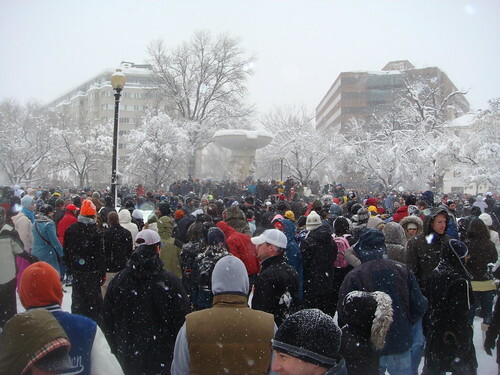 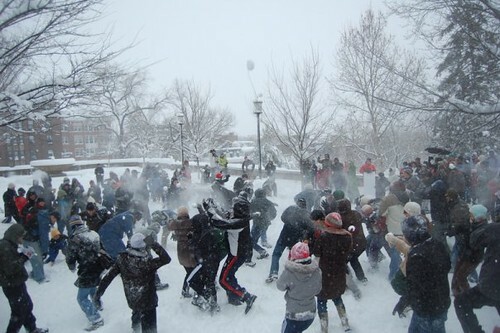 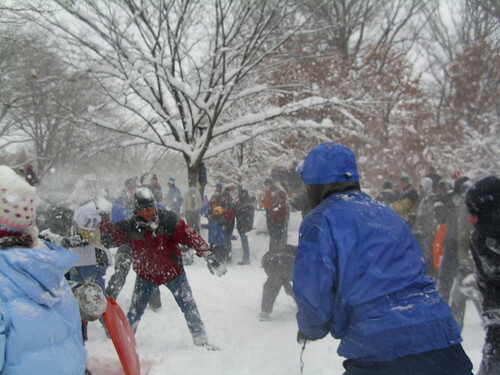 Also a video of sledding and the Meridian Hill battle (thanks to Abigail) Did anyone by chance hit both fights?